Play based learning activities for babies, toddlers and preschoolers. Why do kids need independent play time? When my son was born, all I could think was “I am never letting you out of my sight – I just love you too much”. As the months flew by he learned to stick out his tongue, roll from back to front, push up onto his knees, eat solid food, crawl, stand up on his own, feed himself, and most recently walk by himself. Time is flying by and I don’t want to miss a single moment with my little love. He truly is growing up too fast. The more we both grow as a parent and child unit, the more I realize how important independent play time really is. Our children grow and learn new things every single day. 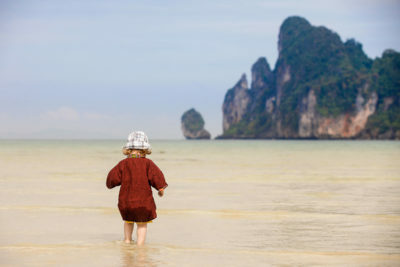 While it is developmentally important to spend quality time with your children, giving them some time alone is actually equally as important for their development. As your children develop mentally, physically, and emotionally day-to-day, they are actually developing habits that they will carry with them through out their lives, too. Kids truly are sponges and seem to soak in and pour out everything that is around them. They are naturally imitators which means there is the potential for their own imagination to be stifled when playing in groups too often. Giving your child time alone to play will give them the freedom to let their imagination run wild and will teach them that it is okay to let their imagination out of the box. Crafts are great for this. Give some age appropriate craft supplies, then walk away and see what they come up with! Make a basket full of random things to explore. For babies, anything with different textures or colours is great. For toddlers, some open ended toys they don’t normally play with can spike a new interest in how to play with it again. We keep a toy rotation specifically for this reason. While your sweet little one is allowing their imagination to run limitless, you may start to see them also begin to figure out who they are. Giving your child independent play time will allow them to develop their personality and decide what traits come naturally to them. Are they quieter and more reserved or will they be loud and boisterous? How will they be on their own? When there are no conflicting personalities around them, they are truly in a safe place to figure out who they are. They will learn how to own their independence and appreciate time spent alone. Putting on or taking off clothing. Walking them through an activity rather than leaving the project supplies open for creativity. Showing them ‘how’ to play with a toy. With accomplishment comes confidence. With confidence comes independence. As they develop their imagination and their own personality they will learn how to have fun on their own! We cannot be with another person 100% percent of the time. 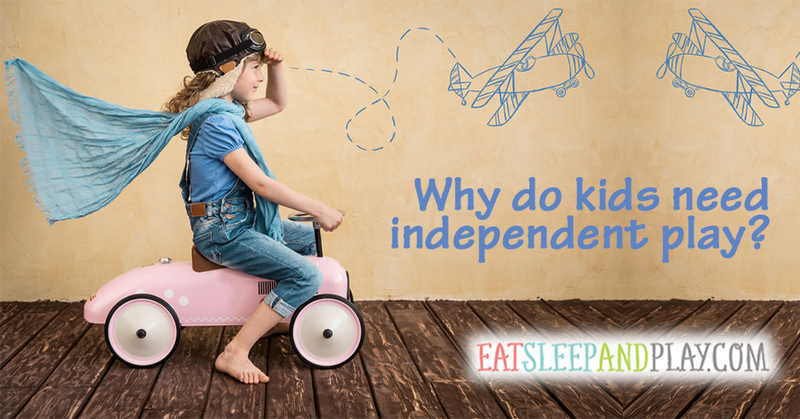 It is important to learn early how to be independent and still have fun and be secure! No matter if you are a natural introvert or a natural extrovert- everybody needs some alone time. We HAVE to re-center and rejuvenate and our kids are no exception! When we give our children independent play time it actually encourages calmness and allows for them to take some time to themselves. They can reflect on their day, process new things they learned and is a great time for their brain to wind down. According to this website, A child’s brain undergoes an amazing period of development from birth to three—producing 700 new neural connections every second. While your children enjoy some time on their own you will be able to have some time for yourself, too! It will give them a tangible picture of independence. It will let them know that even adults need alone time to handle business! Leaving them for too long can be difficult. They become a little more demanding the longer you take to get back to them. I started slowly for my son letting him have little bits of time to himself. I would come back and check in every few minutes and left those gaps longer and longer. Now I can check in much less. Checking in means to make a physical connection or, at the very least, eye contact and get down to his level. Giving your children the gift of independent play will benefit them astronomically and make your heart swell with pride. You are doing a great job with your sweet little one- keep up the good work! ← 20 Fun Rock Crafts Roundup! I really like these thoughts! I often feel guilty for not engaging every second, but kids really do need their own time to play! I will probably be writing on the topic on my blog at some point too! Parents need independent time too! It’s a win-win! Our little guy enjoys when we leave him alone, he comes up with some of the wildest ideas and situations, we would just be slowing him down. Look forward to reading your take! Vote for Eat Sleep and Play!